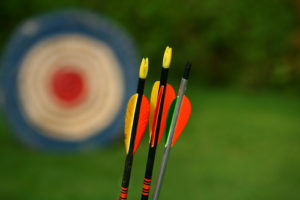 Social media optimization gives you the ability to not waste bullets. Every tweet and status update has a cost associated with it. Perhaps not a direct financial cost, but a real, and at times considerable labor cost. The time you spend tweeting and Facebooking and Google Plussing on behalf of yourself or your company is time you could be spending on some other form of communications or customer service. Alternatively, it’s time you could be spending watching Project Runway. Or hanging out with your kids. Or making fun of Lebron. Smart companies are using social media optimization and social media marketing software to add some clarity to the value of their behavior on the social Web. You must embrace the concept that all tweets are not created equal, and there’s value in doing this stuff with additional rigor and analysis. You need the data ecosystem necessary to make relevant, judicious decisions about your social media behaviors. I’ve been playing with Argyle Social for a few weeks (they are a Convince & Convert sponsor, so they gave me a free account), and I am hooked. The data they offer is extraordinary, and perhaps more importantly it’s easy to understand and access. The guys at Argyle come from an email marketing background (like me) so they were raised on a diet of analytics, testing, and identification and isolation of meaningful variables. They are smart, data nerds first, and social media marketing software developers second. And the product is better as a result. Just because everything is trackable doesn’t mean you should track everything. The core challenge with social media optimization isn’t availability of data (with the possible exception of Twitter impressions data, as I ranted about here in my social media measurement post). Instead, the challenge is knowing what the data MEANS, and what to DO about it. Too many companies in social media tend to misapply breadth and specificity. This results in hand-wringing about the success of a specific tweet, when looking at your social behaviors over a much longer period is far more illustrative. It also results in companies evaluating the success of a particular channel (Twitter and Facebook, in particular), based on aggregate fans or followers, which has almost zero analytical or prescriptive value. What is useful about good social media marketing software – and Argyle Social in particular – is that it is inherently set up to allow you to understand how your social efforts are trending and progressing by looking at them from a batched perspective. 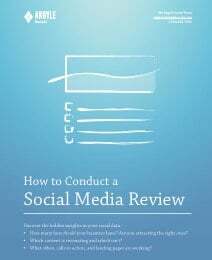 Here’s an example from their new, free white paper on how to set up social media statistics (check it out, it’s great). 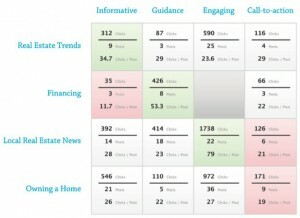 In this hypothetical case, a real estate developer builds multiple campaigns to create silted social analytics for his posts about trends, financing, news, and owning a home. With this type of structure – and goals or conversion events plugged in – you can see important value patterns emerge over time that will help you use your social media marketing resources (most notably, time) more efficiently. There’s several components of Argyle Social that work well for me. The ability to easily curate content using the browser bookmarklet. I can find an interesting blog post, and send it out in about 3 seconds. Argyle automatically attaches rich tracking codes. The unified inbox that shows me Twitter @replies, retweets, and DMs plus Facebook comments in one place. This of course is not rare functionality, as several social optimization packages have it, but Argyle Social’s version is as good as any. Scheduling of posts in advance is a breeze, even if you have multiple people working together as a team. I can create custom tracking URLs in a few seconds, even if they won’t be used in social media, and setting up conversion goals is equally simple (provided you can drop a small piece of code on your website). But the social analytics dashboard is really the star of the show. From there, I can at a glance see how I’m trending on clicks, goals, interactions, and subscriberson a week-to-week, month-to-month, or custom date range basis. Then I can drill down to look at specific campaigns, or even individual tweets. Smartly, Argyle automatically combines the results of tweets and status updates that contain the same link. This is very handy for people that tweet new blog posts more than once (like me). Knowing which campaigns to set up and what to call them is sometimes a bridge too far at the onset of a social analytics campaign. Argyle Social lets you assign particular tweets to a campaign after the fact, which is very useful for down-the-road analysis. 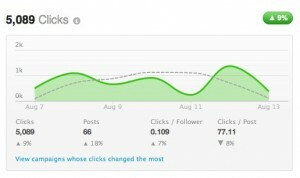 I’m getting better at social media optimization thanks to Argyle Social. My pal Jason Falls is a big believer too. Take a look at the white paper, and/or check out a free trial. Prices range from $149 to $499/month – there’s also an excellent white label version for agencies. It’s definitely more expensive (in most configurations) than social media marketing software like HootSuite, but I think it’s worth the investment. If you want to embrace social media optimization – and eventually serious companies will have to – I think you’ll agree that it’s worth the step up.